Welcome to the Danica Davidson #Minecrafters #BlogTour! 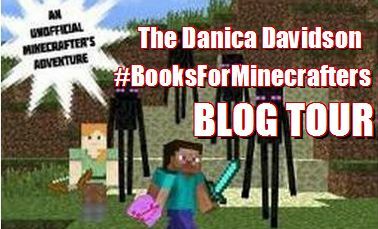 Welcome to the Danica Davidson Minecrafters Blog Tour! Over the next few weeks, bloggers across the internet and across the planet will be talking about Danica Davidson’s Minecrafter books for middle grade readers, interviewing her, hosting guest posts, and more! If you’re on social media, follow #Minecrafters and #MinecraftersBlogTour. To learn more about Danica, visit her website and follow her on twitter, where she is @DanicaDavidson. Danica is the author of the completed 6 book Overworld Adventure Series with starts with Escape from the Overworld, the brand new Overworld Heroes series which starts with Adventure Against the Endermen, and many other books for young readers. Her books have been called “EXCITING” by Forbes, “RECOMMENDED READING” by School Library Journal, and have been spotlighted by NPR, Sci Fi Magazine, Barnes & Noble Kids Blog, MTV and other publications. Escape from the Overworld and Attack on the Overworld were also both selected by the prestigeous Scholastic Book Fair for second through sixth graders. Her non-fiction articles have appeared at Publishers Weekly, Ms. Magazine, MTV, CNN, Anime Insider, Booklist, Graphic Novel Reporter, iF Magazine, and many more. Click here to read my interview with Danica, and click here to listen to her interview at the radio show Between The Lines. Here’s a list of bloggers, reviewers, and authors who are participating in the blog tour. There are even some soooper seekrit posts I can’t even talk about until they go up! As blog posts go up, I’ll be editing this post to include links to everyone’s posts, so check back often! Loud Library Lady’s son reviews Escape from the Overworld and gives it 5 stars! That’s What She’s Reading has a review of Escape from the Overworld from the point of view of a reader who isn’t familiar with Minecraft, and a guest post from Danica about her writing process. Woah, that’s a ton of fantastic sites! book review blogs, parenting blogs, parent-child reviews, and everything in between. Hope you can make time to visit everyone! 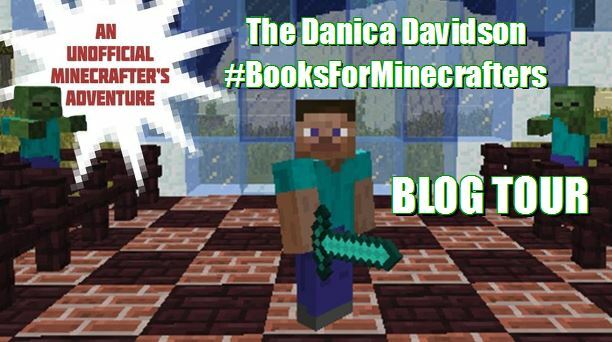 3 Responses to "Welcome to the Danica Davidson #Minecrafters #BlogTour!" Woohoo! So glad to be a part of this!